A note to new readers: while we often delve deeply into financial topics (such as How A Year Of Extreme Frugality Changed Us and 11 Ways To Be A Frugal Weirdo And Love It), we also like to keep it irreverent and downright silly. Because hey, who doesn’t need an investigative interview series conducted by a dog?! 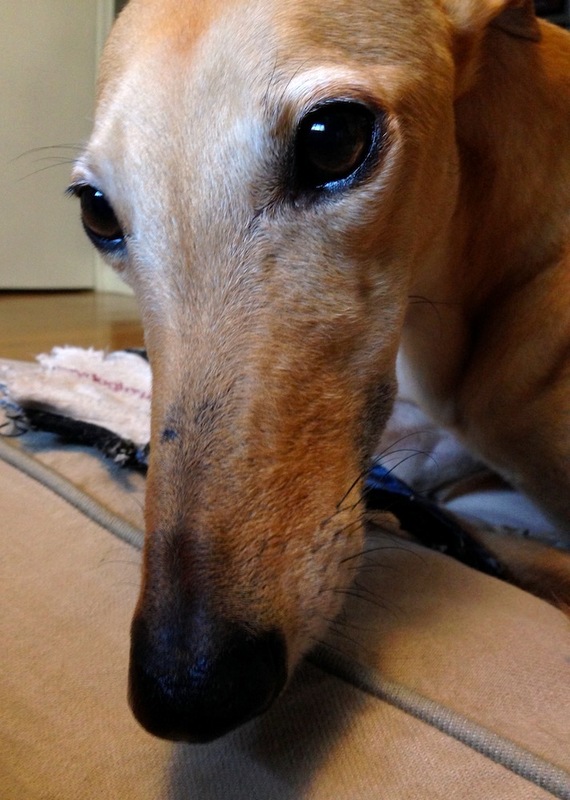 And so, I hope you’ll enjoy Frugal Hound Sniffs! If you’d prefer a more, ahem, financial independence-related post, start here. 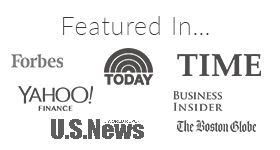 Frugal Hound–your source for the latest news and gossip on personal finance pets–reporting for duty. Today’s interview is a triple delight! I’m pleased to welcome all three pugs from The Daily Whisk and I hope you’ll join me in exuberantly sniffing August, Magic, and Mirabel! 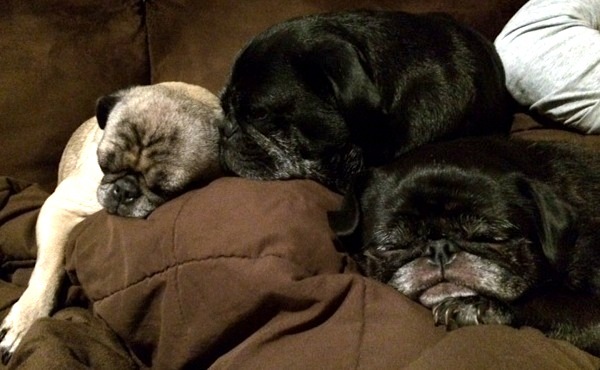 We’re the pug trio from The Daily Whisk household. We live in Vermont and we do what we want! There are three of us: August (11), Magic (10), and Mirabel (9). Our parents are Kara and Matt. Apparently we didn’t meet all of their needs as they’ve let not one, but two human babies move in over the last few years. My mom went on a mission to find us the highest quality dog food at the lowest price. She consulted with our aunt, who is a veterinary technician, to make sure it would be a good fit for us in our golden years. Also, sometimes our mom makes us these frugal peanut butter dog treats. We like our toys ratty and stinky. We like to leave them in the middle of the floor too, which drives our mom nuts! She tries to hide them in a different room, but we always find them and drag them in to the middle of the kitchen floor. Oh, definitely the carpet. It was new when we moved into our house, but over the past year and a half we’ve really mucked it up! We actually like it better this way, but our parents disagree and spend lots of time vacuuming and shampooing it. Baths are stoopid! We get about two per year, usually in the summer. Afterwards we sprint around like crazy and roll in the grass. That’ll show them! My mom is all about saving, saving, saving, and paying down debt. My dad is all about listening to my mom! Smart guy. Our main contribution comes in the form of moral support via cuddles. Cuddling! We offer a variety of pug therapy services including: sleeping on your pillow with our chin resting on your shoulder, sleeping between your feet, spooning, and knee nook napping. 10) Why are pugs so amazing? Glad you asked! We’re laid back, happy, and full of love. We’re also good with kids. So patient. So tolerant. We deserve a carrot! Thank you, pug trio! That was three times the fun. Although I must confess I don’t understand your penchant for carrots. I myself turn up my snout at anything resembling a vegetable or fruit. However, to each hound their own treat! 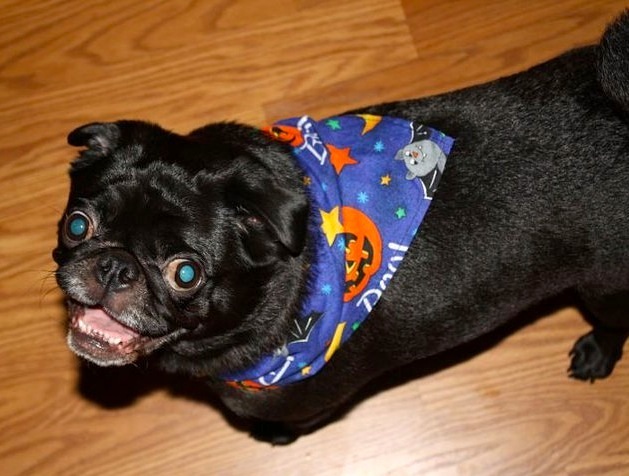 Mrs. Frugalwoods here: Many thanks to Kara from The Daily Whisk for assisting the pug trio with writing out their interview (it’s tough to type with paws, after all). 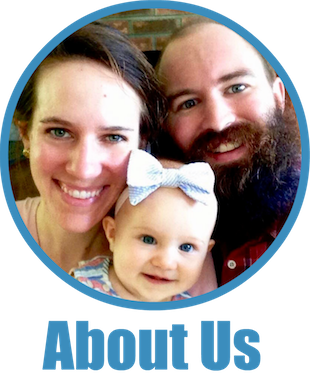 At The Daily Whisk, Kara shares tips on how to save time and money (especially in the kitchen!) 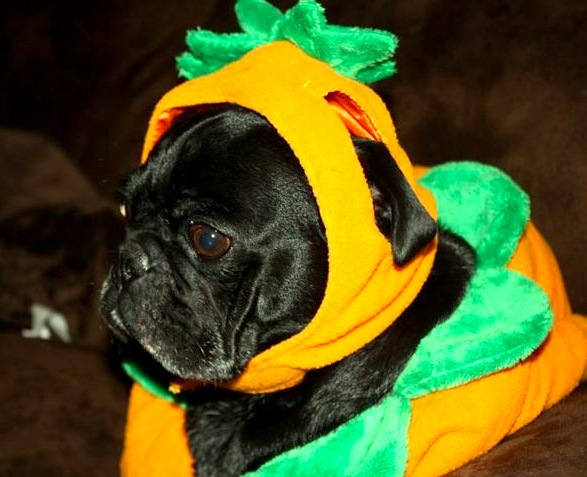 She’s a toddler mom, pug mom, and frugal lifestyle enthusiast. You can follow her on Facebook, Twitter, and Pinterest. P.S. Follow Frugalwoods on Twitter, Facebook, and Instagram for even more hilarious photos of Frugal Hound and friends! Our pugs have learned to align themselves in specific places during dinner time…toddler treats for everyone! Oh my goodness, they have the cutest faces! I especially love Magic’s facial expression with the hot dog costume on. Thanks 🙂 I went overboard a few times with the costumes – what can I say?! I was wondering what type of dog food the pugs’ mom chose. Pugs melt my heart. 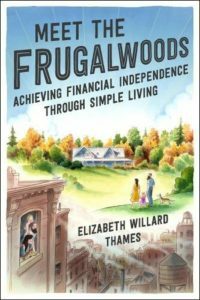 Another great interview frugal hound! I love pugs! They have the cutest faces. I’m pretty sure if I had one I’d be dressing them up in all kind of costumes too. I love their little faces! Especially the sleeping ones, they look so gentle and you just know that it is a false front because when awake, they can be crazy! One of my dogs is a Pekingese, similar squishy and adorable face. frugal hound and other friends are so cute. My dogs love potato chips, crackers, and pretty much anything that gets dropped on the floor, haha. Mine will eat everything but lettuce, spinach, etc. 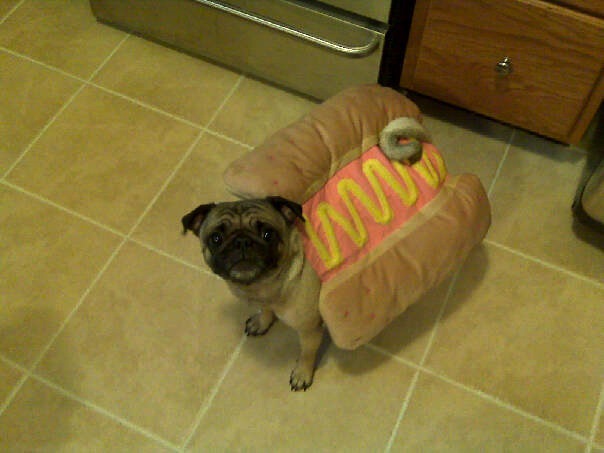 The hot dog costume picture is priceless!! I love how adorably ridiculous pugs look, not to mention the hilarious sounds they make! Loved this. Thanks for laugh, and all the cuteness. Please give Frugal Hound an extra pat for me. You do keep hounding us about frugality…..
August, Magic, and Mirabel look so cute! But, can I bring Magic home? Haha!